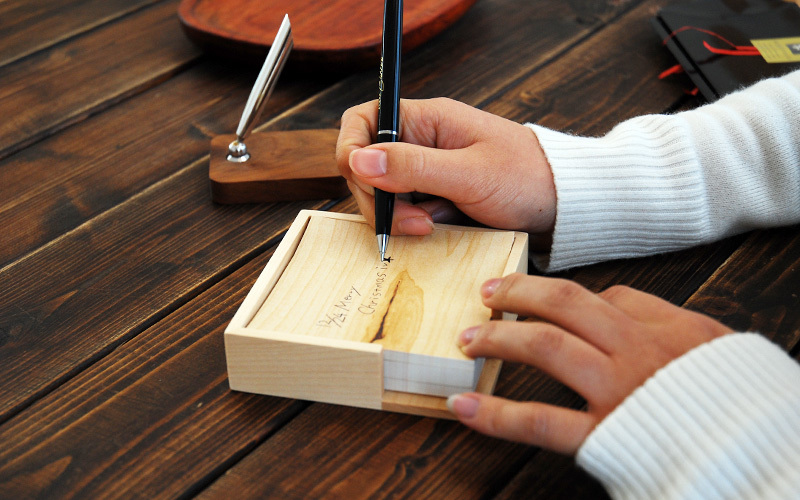 Craftsmen at Hacoa's workshop often use scrap wood to make notes and sketches. 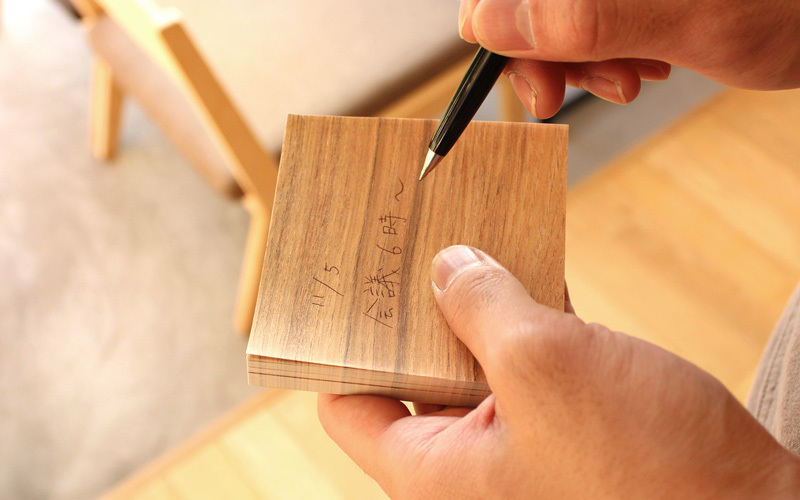 This memo block has the grain pattern of actual wood on the site printed on each page. 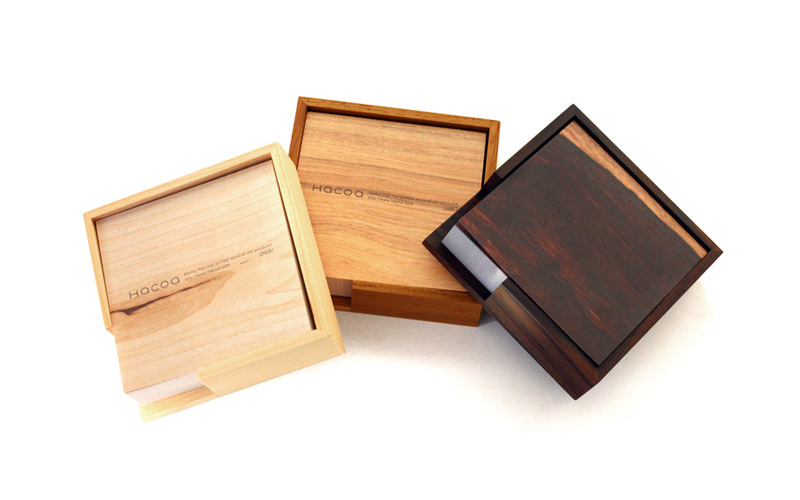 Looking as if it is a solid block of wood, matching tray made of genuine wood add an unexpected twist to this pad.